On behalf of the entire faculty and administration, I would like to welcome you to our school and website. 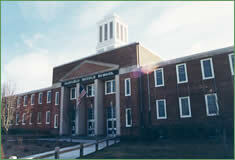 The Harborfields Central School District is located on the north shore of Long Island in the Huntington Township. It encompasses an area of eight square miles and serves a suburban population of approximately 44,000. Our district has a long and distinguished history of service to children and families. We are so proud of our students. They continue to achieve at high levels and make significant contributions to our community. Our desire is to provide academic excellence in a warm and supportive climate. At Harborfields Central School District, a heavy emphasis is placed on civility, citizenship and character development. The school district consists of four schools: Washington Drive Primary School, grades Kindergarten-2; Thomas J. Lahey Elementary School, grades 3-5; Oldfield Middle School, grades 6-8; and Harborfields High School, grades 9-12. There are approximately 3,100 students in the district. Students at Harborfields Central School District are enrolled in programs that provide skills that are interdisciplinary in nature, allowing each child to become a lifelong learner. It is our intent to deliver the very best instructional program possible to our students. Test scores indicate achievements well above national, state, and regional levels. Each year, Harborfields students receive an impressive array of awards, scholarships and other honors, including acceptance at the most prestigious and competitive colleges and universities in the country. Harborfields Central School District is also the hub of a variety of extracurricular activities and interscholastic sports. The school district is built on the traditional values of home and family, social responsibility and academic excellence, and implements its philosophy with modern educational practice. Community support and quality schools go hand-in-hand and that is what separates Harborfields from many other fine school districts. The community expects excellent schools and Harborfields residents have demonstrated their belief in educational excellence by establishing an outstanding record of passing budgets. Cooperation and communication among teachers, parents, and students is the key to high student achievement. I encourage your involvement within the school community and welcome your suggestions and comments. Throughout the year we will continue to post information, events, and activities that will take place within our district. It is only through our community effort that we can provide success for every student! In closing I would like to thank the Harborfields community for the welcoming atmosphere, positive environment, and opportunity to serve as the district’s superintendent. The support and enthusiasm I witness each day is overwhelming. It is truly my hope that you will find this website informative and a true reflection of the impressive faculty, staff, and students that we have in our community. If you wish to learn more about our wonderful district, please visit our Latest News page of our website. I wish you and your children a happy, healthy and productive new year.